Over the last couple of years, I’ve been doing a lot of teaching in the Main Frame. At first this was a frightening prospect for me, and I was quite insecure about it. As time has gone on and my confidence has grown, however, I’ve begun to enjoy it. I love witnessing the moment when a student learns something brand new…it’s almost as if a light goes on behind their eyes. For me, one of the most interesting things about teaching is the way students also teach me valuable lessons. It seems like the very second I start to think that I have a subject figured out, one of our students shows me that I clearly do not. This truth was illustrated for me again last month. During that class session, a Main Frame student named Ms. L kept using a phrase that stuck with me. She would say, “I just want to be the best me I can be.” There is a lot of wisdom in that statement. Ms. L was not concerned with what others thought of her or with what other people were doing. 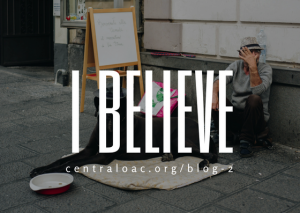 She focused all of her attention and energy on taking steps to better her situation by finding employment and appropriate housing. She recently found work as a caregiver for elderly adults and is simultaneously returning to school to complete her GED. There’s no doubt she’s blossoming into the best version of herself. 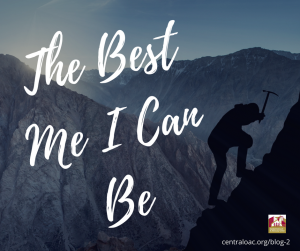 Over the past few weeks, when I begin to compare myself to others or worry about something going poorly, I try to remember that all I can do is be the best me I can be. Thank you for that lesson, Ms. L.
I walked through the art room and I heard, “Hey Ms. Kimberly. How are you today?” This happens almost every time I walk through the art room and it often happens when I walk through the lobby. Someone notices me and calls me by name. I like that feeling of knowing that someone knows my name and wants to say hello. I am always impressed with April, Ahren, and Brenna because of how many of our guests’ names they know. They start talking about Mr. Smith or Ms. Brown and lately it seems that I ask a lot, “Which guest is that? What does he look like? Would I know her?” It bothers me a lot that I don’t know names like I used to when I provided direct services on a daily basis. I’m pretty good with faces. I can look at a face and remember it, but not always the name. Names don’t come easily for me unless it’s someone who has been around for a long time, someone I’ve specifically worked with, or an individual we’ve asked to leave the OAC. Despite my shortcomings with remembering names, I think being called by name is important. When we can call a person by name it says that we paid attention when we first met. It shows that each person is a human being and deserves being remembered . It’s a form of respect and dignity, which are two of our staff values. 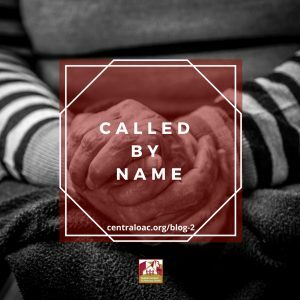 I believe being called by name shows that we care. We believe in meeting people where they are with patience and humility and treating each person with respect and dignity! I am grateful to be a part of this team who calls people by name. The package was sent by my mom who lives over 800 miles away. She knows that the work we do is hard. We work with guests who are marginalized and oppressed and face barriers everywhere they turn. We do our best to meet as many needs as possible, but sometimes it doesn’t feel like enough. Sometimes I wonder if I really make a difference in the lives of the guest we serve. It can feel like an uphill battle with constant questions: “Did I listen enough?” “Was I patient enough?”, “Did I ask all the right questions to ensure the guest received everything they needed?”, “Could I have done more?” I leave every day with these thoughts, playing back my interactions with guests over and over again, and thinking how I could have said something differently or done something more. Then there comes a day when I get a card in the mail that says how well a former guest is doing and thanks me for the time I spent with him or a voicemail from a guest who wants to tell me that he finally got his ID and thanks me for going through the process with him. That’s when I realize that as long as our guests and their needs are my number one priority, I am making a difference. What my mom did not realize was that I had previously shared The Starfish Story at one of our team meetings because it stuck with me. 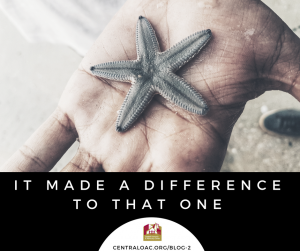 It was important to me to share it because I know that I am not the only one who leaves work some days and wonders if I really made a difference in a guest’s life. I truly believe that the work we do here is important and changes lives and although we are not a shelter or a long term program, and we may not see the impact our services have on our guests, I trust that our work is planting the seeds for something greater and planting seeds hope and empowerment within our guests.